The prospect of Britain leaving the EU without a deal on March 29 is now more likely following an ultimatum from Donald Tusk, the president of the European council. That’s according to political betting traders at bookmaking giants Ladbrokes, who have this week shortened their odds on a no deal Brexit from 5/1 to 3/1 – an implied probability of 25% – on the back of a statement delivered by Tusk on Wednesday. 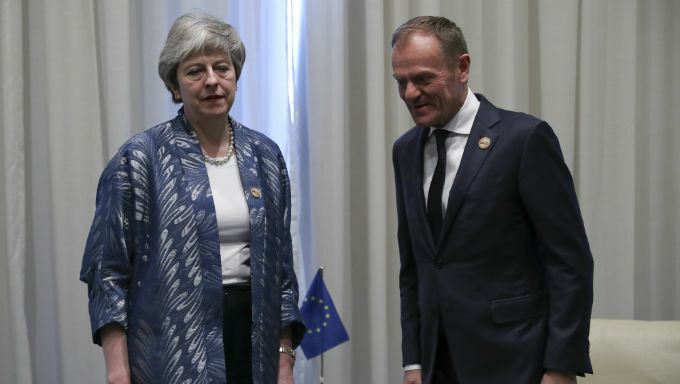 Tusk ruled that MPs must pass Theresa May’s Brexit deal next week for the UK to receive the short extension she requested from the EU on Wednesday in a letter which arrived 'too late' for leaders to make a decision on at Thursday’s summit in Brussels. A third ‘meaningful vote’ on Prime Minister May’s deal will now likely take place next Tuesday or Wednesday, but major bookmakers Paddy Power don't believe the motion will pass this time either, going 1/4 on it failing once more and 5/2 for it to finally win the support of the MPs. The Brexit saga had taken a fresh twist on Tuesday after Commons Speaker John Bercow staged an intervention on the PM’s third ‘meaningful vote’ which was originally expected to take place this week, ruling against MPs effectively voting on the same motion. Many MPs now face the dilemma of reluctantly passing the PM’s revised deal third time around, or risk a no-deal Brexit, which may actually be welcomed in some quarters as many hardline Tory Brexiters believe no deal is better than anything tabled by May so far. The chances of Britain having a deal in place without the need for an extension to Article 50 looks increasingly unlikely at 25/1 with Bet365, while the odds on a delay being granted remain favourable at this stage, with bookmakers going around 2/9 on the EU to approve. However, uncertainties remain, as Britain must rely on the other 27 EU members to approve the request for an extension, and reports suggest France, Spain, Belgium and possibly Italy have all lost patience with the UK and are prepared to plunge them towards a no-deal exit. The length of any such the delay – if approved – is very much up in the air, but the EU would prefer matters to be drawn to a close before the European election on May 23. Despite that, Bet365 and other political betting sites are barely able to separate the probability of Brexit going through this year or next. In their Brexit betting markets, Bet365 offer 5/4 on the UK leaving the EU between April and December of this year, which is only marginally more likely than the 11/8 chance they’ve placed on the UK not leaving the EU in 2019, rather in 2020 or even beyond.